Sunrooms, Cornelius, NC | G&S Contracting, Inc.
Sunrooms are a great way to bring some of the outdoors into your Cornelius, NC home. Sunrooms in Cornelius – Sunrooms are essentially outdoor living rooms. They are designed almost entirely of glass or windows to allow for the maximum amount of light to come into the room. These beautiful home additions are a great way to bring some of the outdoors into your home and make you feel connected with nature, all while having the comforts and conveniences of indoor living. Sunrooms are intended to invite the sun into the space. The glass walls and ceiling allow for maximum penetration of light. A sunroom can be an ideal space to keep plants and create a mini greenhouse, which gives you the benefits of keeping living plants in your home. The health benefits from the plants combined with exposure to light make sunrooms a luxurious place to rejuvenate and energize. Anyone affected by Seasonal Affective Disorder (SAD) will surely benefit from a space entirely devoted to maximizing sun exposure. Sunrooms expand your living space and give you more square footage to lounge and entertain. 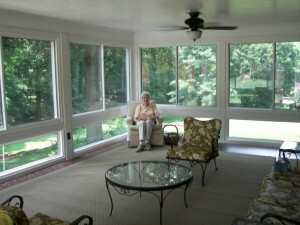 People are drawn to sunrooms because of their uniqueness, and they make for a very enjoyable environment to read, drink your morning coffee, or chat with a visitor. Sunrooms also provide a beautiful view for stargazing at night. Now that we have you daydreaming about relaxing in your sunroom, come to G&S Contracting, and we can make that dream a reality. We are known for our quality work and attentive service. Our top priority is to give our customers what they want, and we’ve been doing just that for 39 years. We are here to serve the community of Cornelius, NC and we look forward to working with you. 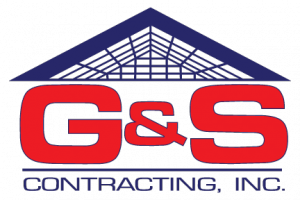 At G&S Contracting, Inc. we offer the highest quality Sunrooms to our customers in North Carolina including: Mooresville, Cornelius, Davidson, Huntersville, Charlotte, and Lake Norman, North Carolina.